After 10 days of turmoil, the Trump White House yesterday looked and sounded shockingly normal. We hear President Trump was frustrated with the rollout of the executive order on migrant travel, and White House chief of staff Reince Priebus used it to push for a return to some kind of normal. You saw this, at least for a day, from afternoon to sundown. 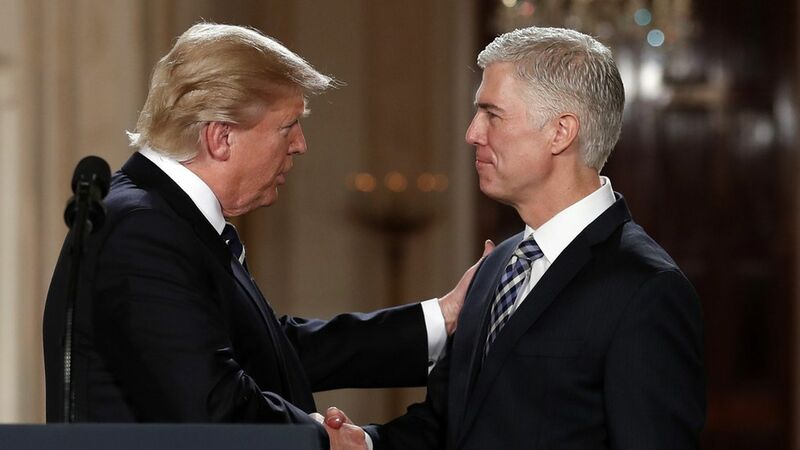 The president appeared in the East Room and actually read his speech nominating U.S. District Judge Neil M. Gorsuch of Denver to the Supreme Court: "I only hope that both Democrats and Republicans can come together for once for the good of the country." Gorsuch, 49, a measured conservative who is a favorite of the Republican establishment, then stepped to the microphone and gave a humble speech: "[W]hen we judges don our robes, it doesn't make us any smarter, but it does serve as a reminder of what's expected of us: Impartiality and independence, collegiality and courage." CNN's Dana Bash had earlier posted a story saying Trump was unhappy with the backlash over the executive order "caused by poor communication to key agencies and members of Congress: "Priebus will now take more control of the systems dealing with basic functions, like executive orders. "The way one source described it: Priebus already technically had the authority, but clearly the staff needed a reminder 'not to color outside their lines.' The same source said the executive order ... was moved too quickly without 'reading in' people who could have helped execute it more cleanly." In the morning, the White House drew praise on Twitter from establishment Republicans for the announcement that Trump would continue to enforce an Obama executive order protecting employees from anti-LGBTQ workplace discrimination while working for federal contractors. Ken Mehlman thanking a Republican president for "sound policy" and "smart politics." It was all so ... normal.